The famous Mini Game: Hide N Seek come to iPhone/iPad now! 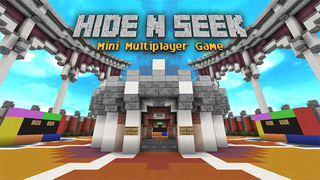 Hide and Seek, a game where you hide and the seekers to try find you and catch you! When the game began, the system will randomly choose one player as the seeker, and the other players become the hiders. When the hider was sought by seeker, he will become the seeker to find other hiders. 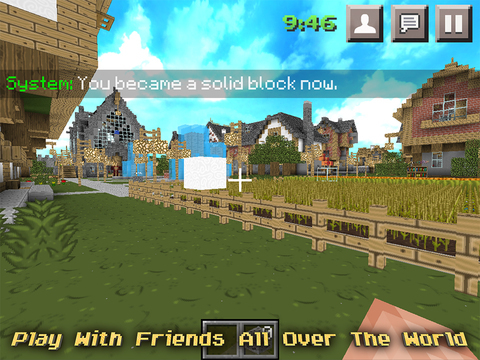 Also, this game has great graphics, as you can see in the screen shot, it almost support all blocks as PC edition. It also support SMOOTH SHADOW too. In the game, you can set the FOV, view distance and many options. Simple controls: – Touch DPad to move. Also you can choose the hide the DPad graphics, and set "lefty" if necessary. – Double tap screen to jump. – Click the "Sign" block to trigger event, such as start game. – Click the block to attack it. 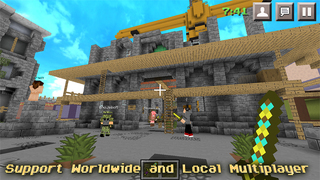 Game Features: – Support world wide multiplayer, each room can has up to 24 players. – Great graphics, support smooth shadow, and almost all blocks as PC edition. You can see the real screenshots below. 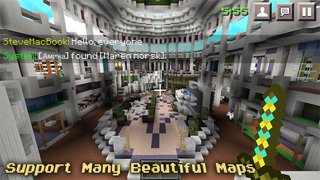 – Well designed maps, more and more maps will come in future updates. – Has "Explore" mode to let you explore each map. – Fix the serious bug that cannot input chat message in the game.